Captain Kirk first encountered Gary Seven on twentieth century Earth. Now Seven, a time traveling operative for unknown alien forces, makes a surprise visit to the U.S.S. Enterprise. 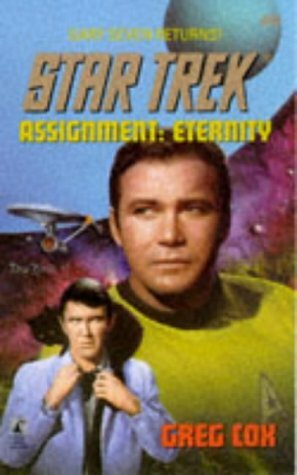 Kirk is on an urgent mission to bring relief to a disaster-ravaged planet, but Seven has an agenda of his own - and he's not above hijacking the Starship Enterprise and sending it on a perilous journey deep into the heart of the Romulan Empire. Kirk must dare to trust Gary Seven once again, as he confronts the possibility that the enigmatic stranger may bring death and destruction to Kirk's own era.